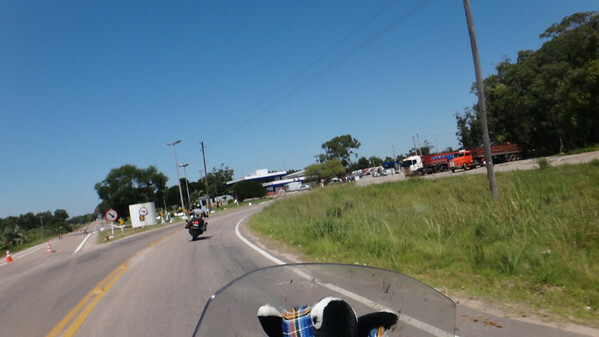 We rode into Brazil. 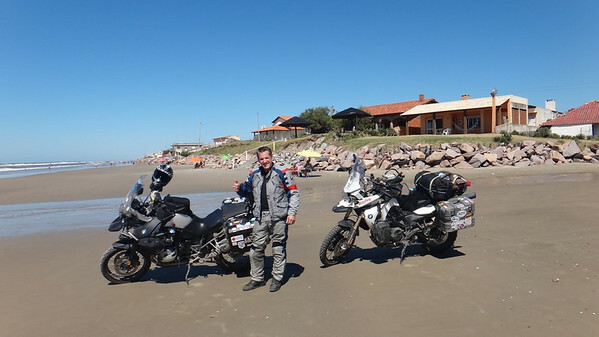 It was a great feeling riding in the last country that I wanted to ride in while in south America. 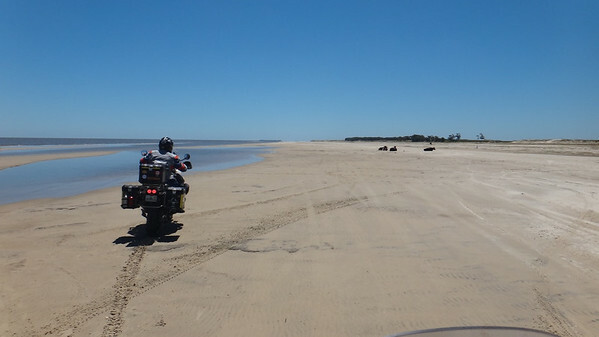 Sadly, I will not be able to see much of Brazil, as I have a date to ship my bike and need to be back in Buenos Aires to do this. As a traveler you are always making decisions about where to go, what to see, how long to stay etc. And so often, I just have to say to myself, “you cannot see it all, Just enjoy the moments!”. 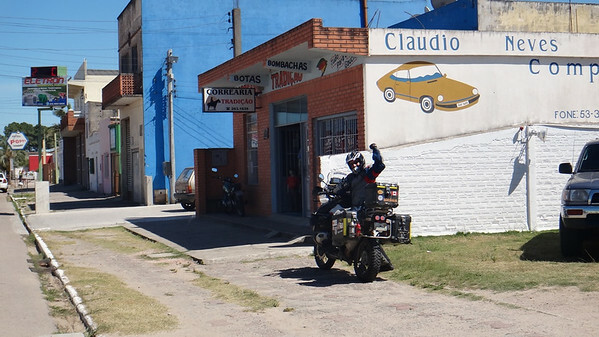 The first town after Chui, is where we needed to stop and get some Brazilian Reals. 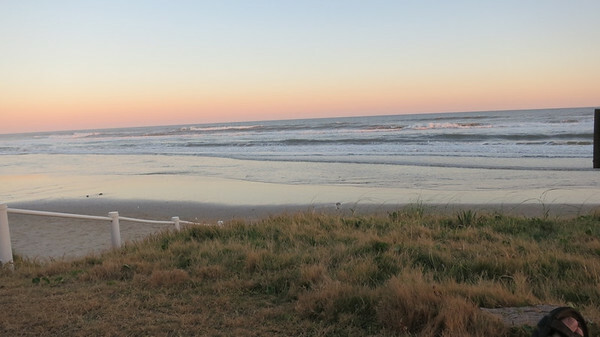 Then back out to the first beach town…. 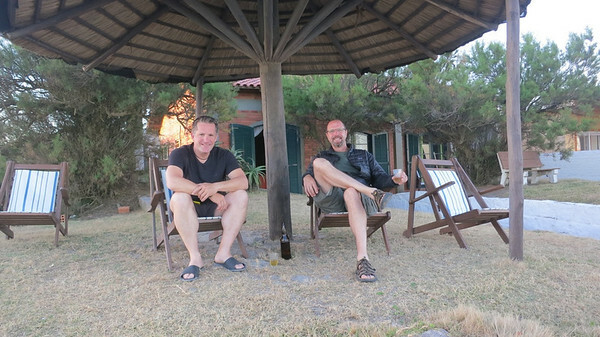 We wanted to stay on the beach and found a place with nice thatched umbrella and a view out to the ocean. We had to ride down to the beach. The place we stayed is just behind us with the two black umbrellas. Was a great place to relax and take in some sun! Just before sunset we were enjoying our views. 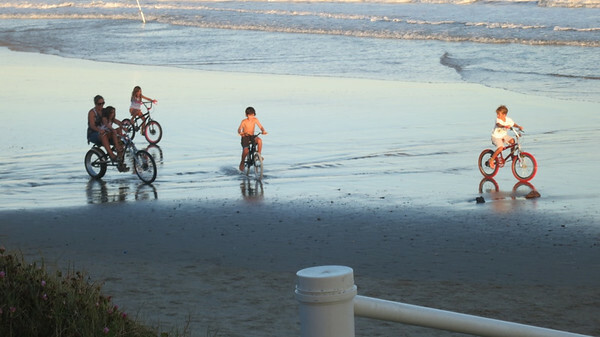 The kids were riding there bikes on the beach. 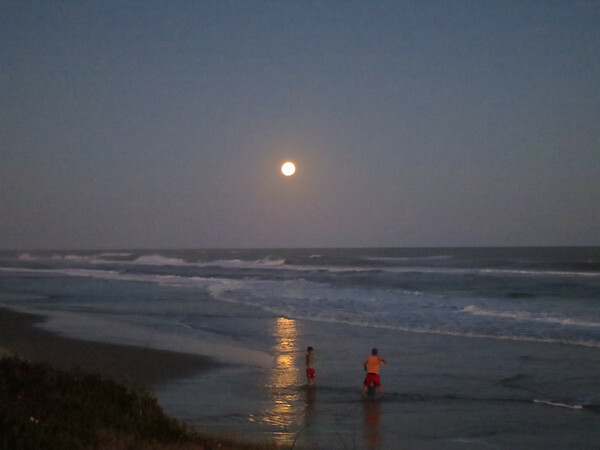 We sat and watched the “red” moon rise over the ocean!! fantastic, but the camera just did not capture this at all. Next morning, it was great to enjoy our view, but we then decided to travel further up into Brazil as it was Claudes Birthday and he was looking for a Party. 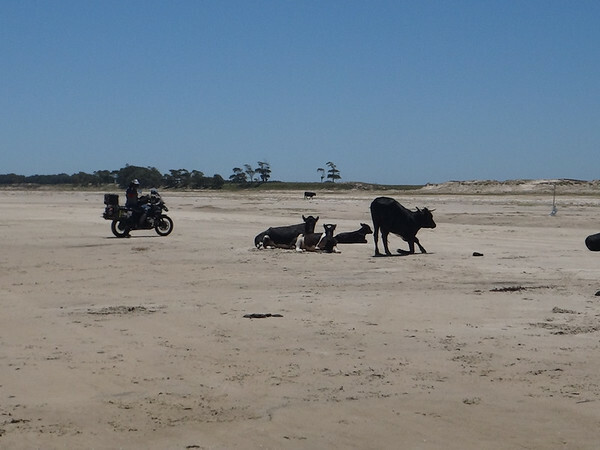 On the way up the coast, we found a spot to ride the beach………. 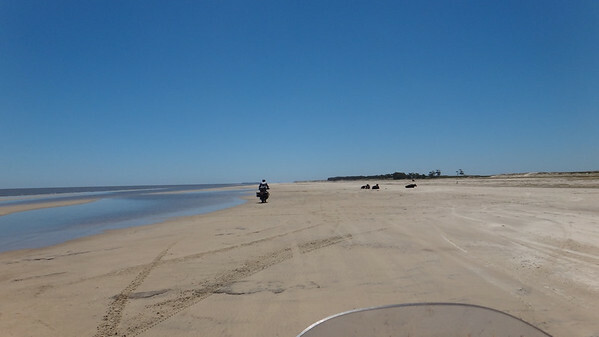 Miles and miles of beach to ride…..
Met a few Brazilian riders at the gas station. They were great! Upon arriving in Cassino, we stopped at the tourist office to ask about places to stay. We found a great place with a view, but had to negotiate hard to get it to $100 USD for the two of us. Money Talks, so that was how Claude did it. Took out a $100 dollar bill and said this is what we have to pay. They wanted $140USD. We had a quiet night as the brewpub was closed, had a good meal, but it was monday night and all was closed down…. 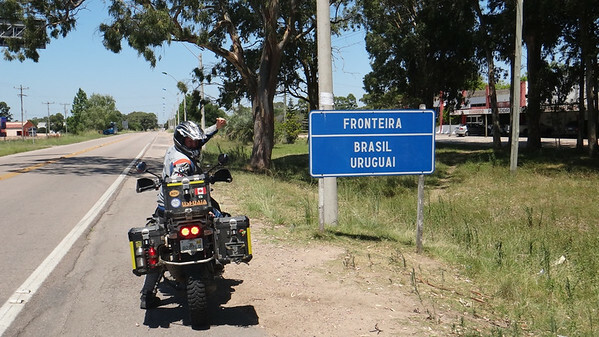 After just a few days of riding on the southern coast of Brazil, our time is up and we head south toward Uruguay. 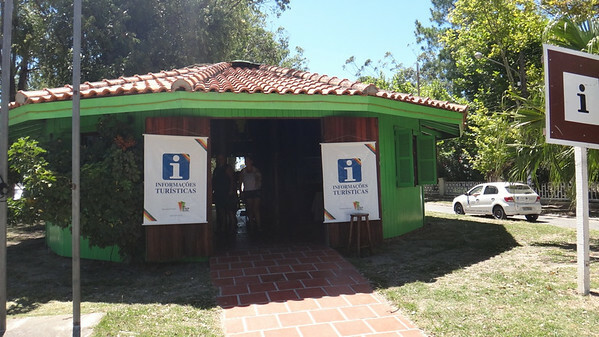 We a short ride into Brazil but my time in South America is coming to a quick close, and it is part of the journey to be moving on. 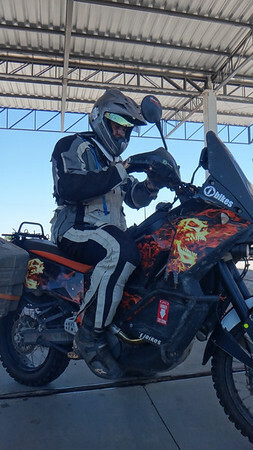 As we stopped at Brazil Aduana with the prettiest Aduana woman of all the countries I visited I look at the back of my bike and it is covered in oil. That does not look good. 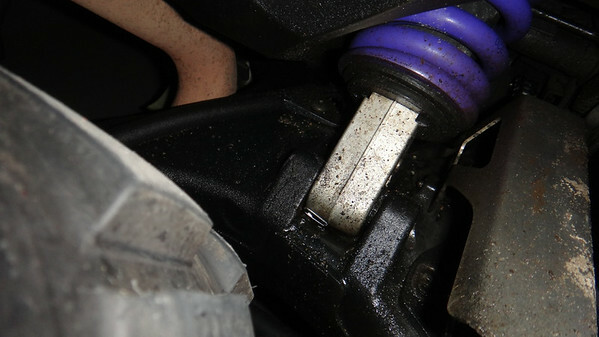 Gte Immigration and Aduana paperwork done, figure I need to get to Uruguay to deal with whatever ….. As I rode the small distance to the Uruguay Border, it is clear that my rear Shock has blown a seal. I am bouncing down the road like a clown. 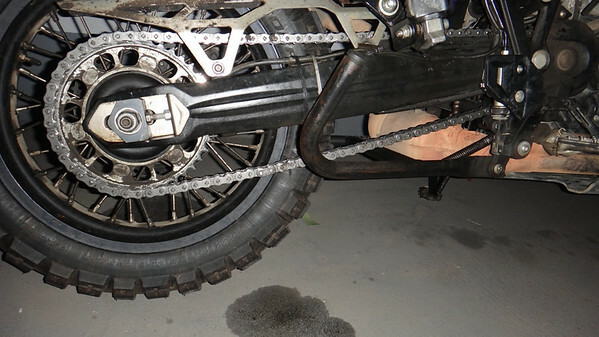 All the oil cleaned the back of my bike too! 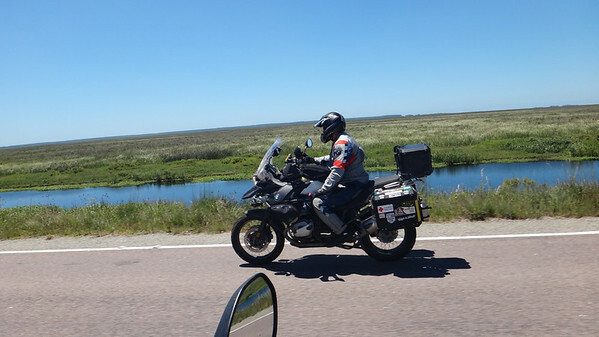 Not much to do with the shock right now, only 500KM to the boat back to Buenos Aires…. 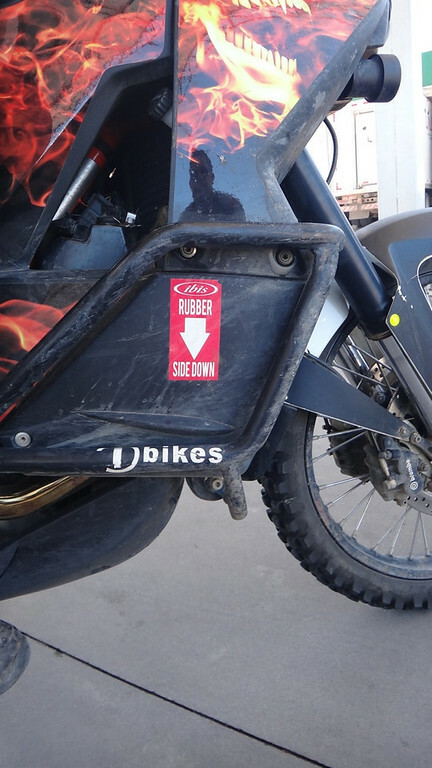 So I will ride it. 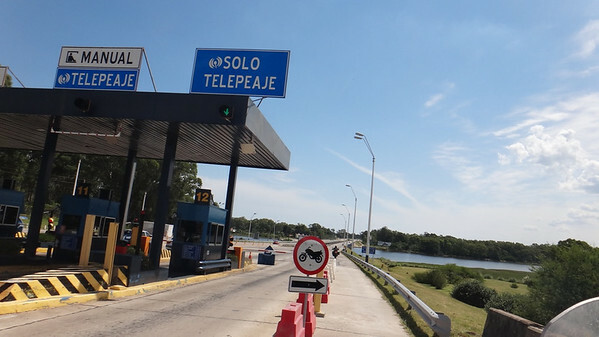 Loving countries that have motorcycle free of toll roads, and a special place to ride past the toll booths! 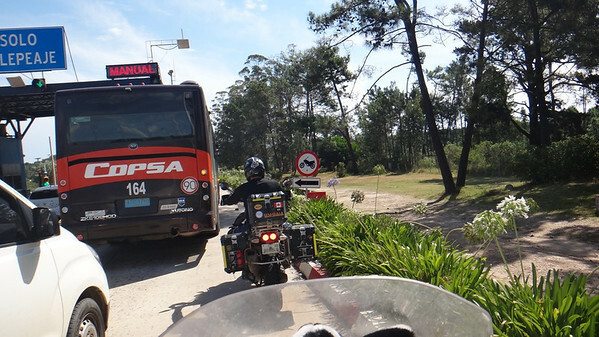 Sometimes it is really tight with the buses and trucks! 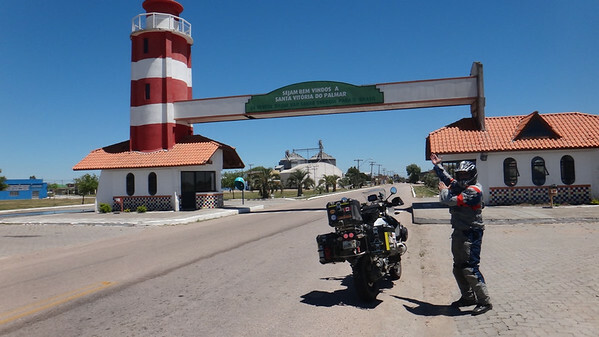 We roll into Montevideo and find a hotel in the center of town. It is 95 degrees today, so we are glad to stop and have some A/C to cool off and relax. We met up with a really nice Uruguay Woman that we met on the road and had dinner.